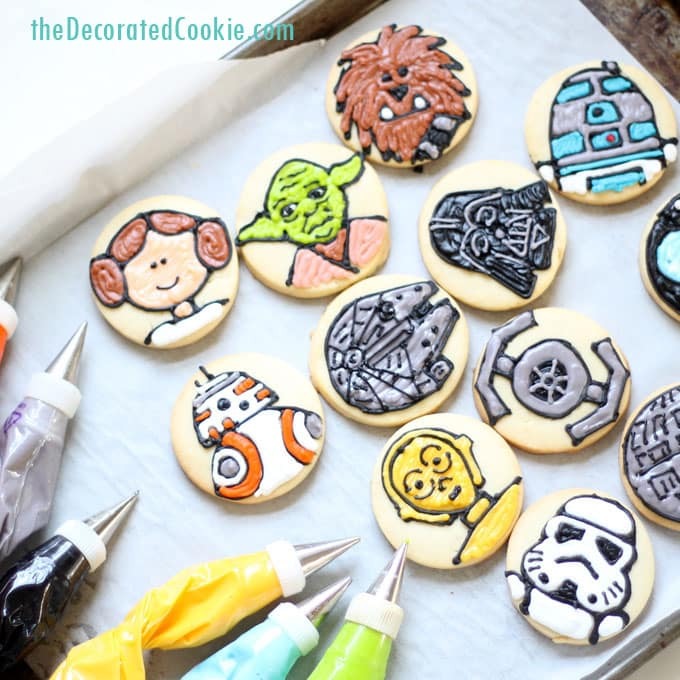 How to make and decorate Star Wars cookies on simple circles. 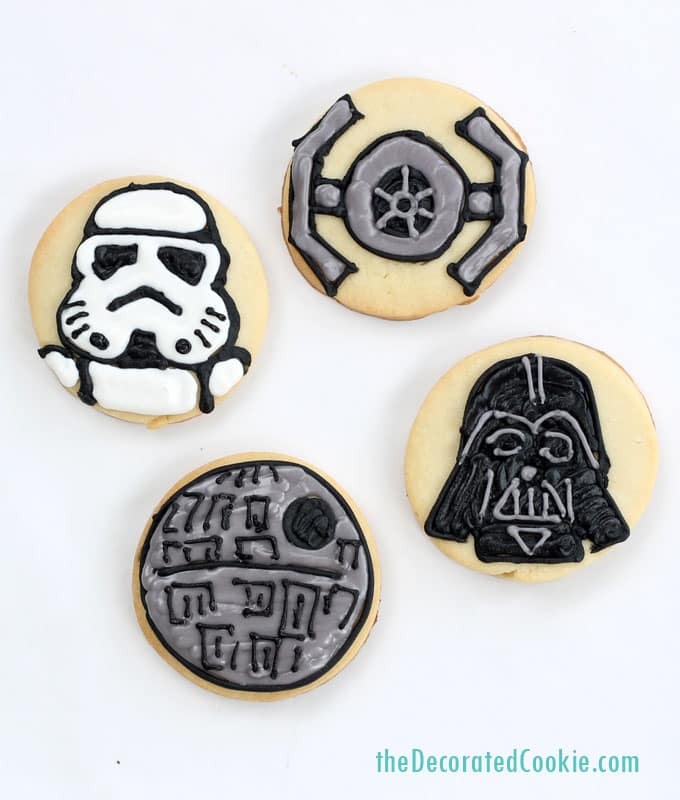 Star Wars cookies for the Star Wars fan in your life, or for your Star Wars party. 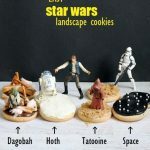 Why Star Wars cookies? 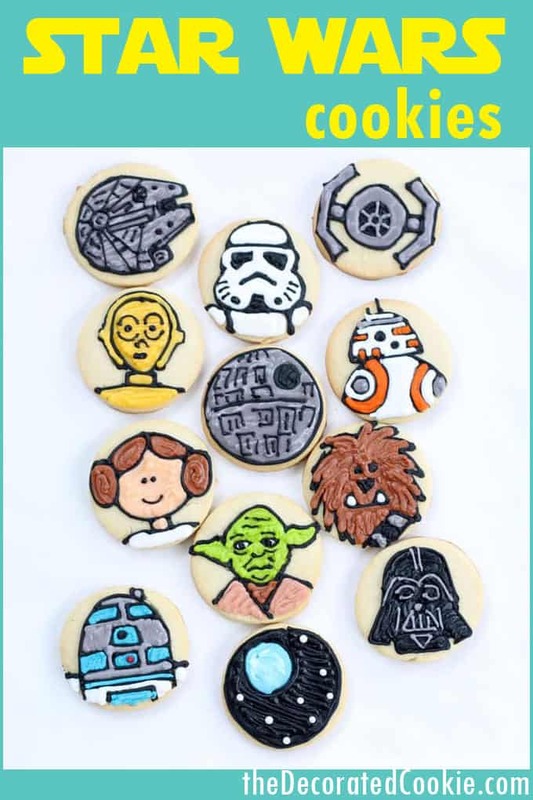 For my daughter’s school auction, I happily donated a copy of Sugarlicious and a dozen decorated cookies in any theme of the winner’s choosing, so I was thankful when her Star Wars loving third grade teacher bid and won, because I got an excuse to make Star Wars cookies. As you can see, I focused on the originals (except for BB-8 there), because this ’70s and ’80s kid can’t be lured to the ways of the Force as told in Episodes 1, 2 and 3, which I never really finished watching.. Except I did love The Force Awakens, which I think captures the spirit of the originals (meaning, Episodes 4, 5 and 6). Nah, I’m more the let’s play Luke and Leia and Han in the backyard kid. 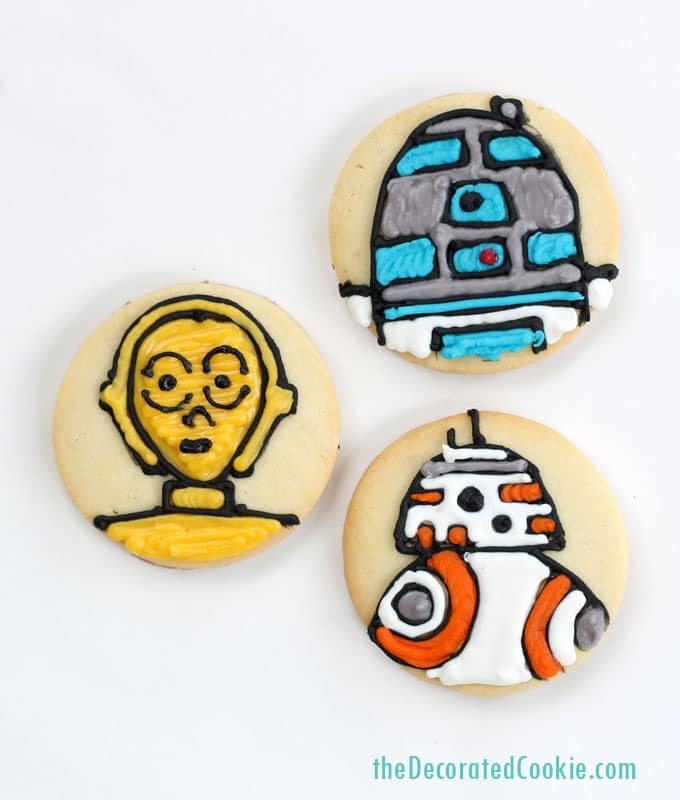 To make these Star Wars cookies, I put all of the designs on simple 2 1/2-inch circle cookies for simplicity’s sake and for consistency in size and appearance. 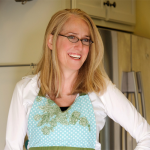 It just makes everything easier, although it does mean some freehand drawing and piping. 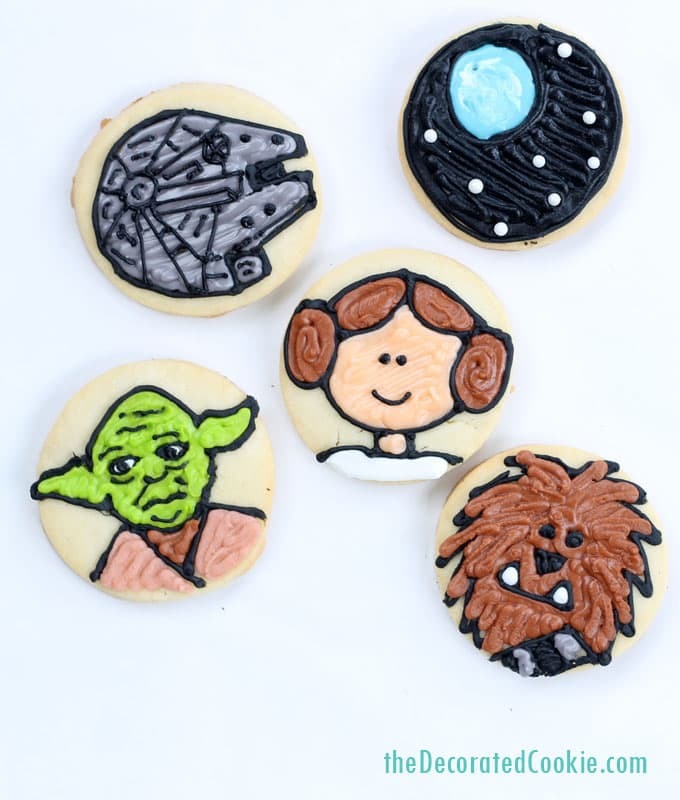 How do you make and decorate Star Wars cookies? First, prepare cut-out cookie dough according to the recipe, chill it, roll it out, cut out circles, bake and let cool. 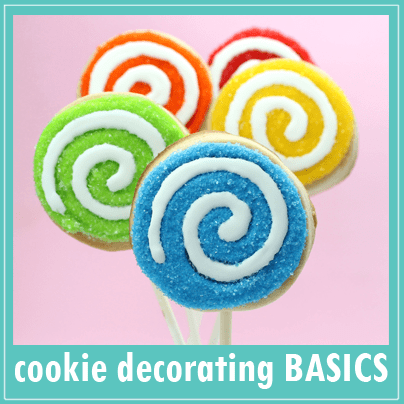 Prepare royal icing, divide and tint your colors using Americolor Soft Gel Pastes food coloring. 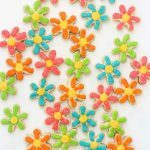 Here, I used these colors: Super Black, Bright White, Orange, Egg Yellow, Electric Green, Sky Blue, Red Red, Peach (for Leia) and Chocolate Brown. I did not make two consistencies of icing, one for outlining and one for flooding. 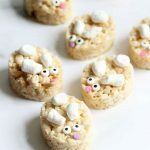 I only used one consistency for piping. However, I did add a few drops of water to some colors I wanted to be thinner, such as the gray and lime green. Fill decorating bags fitted with couplers and decorating tips, sizes 2, 3 and 4. Close tightly with rubber bands. 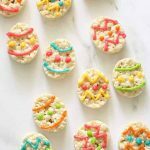 To decorate, I sketched each design using a black Foodoodler food pen. 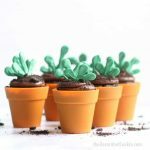 Then, I outlined each design with a 2 or 3 size tip black icing. 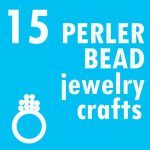 Pipe to fill and let dry overnight before wrapping in bags with ribbon. Need more Star Wars?? 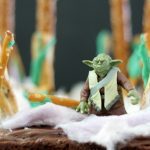 Check out this roundup of 50 Star Wars food ideas. 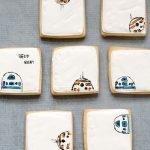 Or these Star Wars landscape cookies. 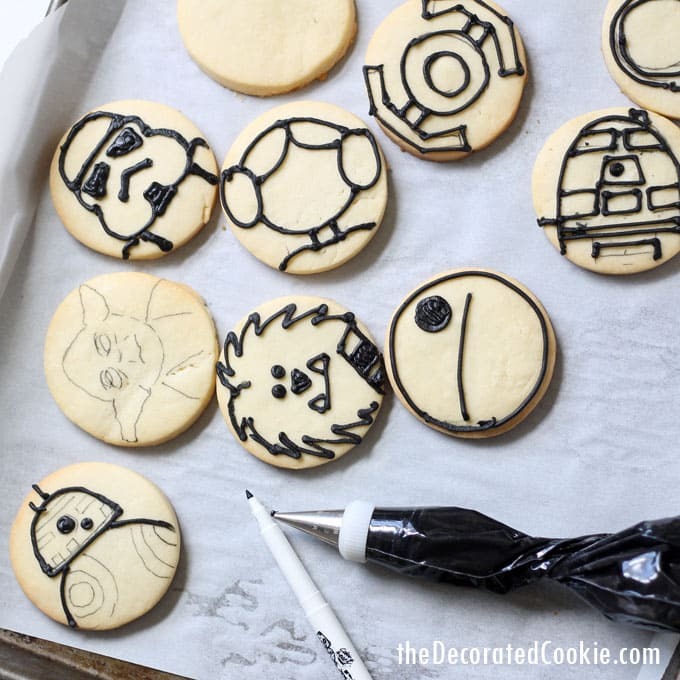 And learn to draw the droids on marshmallows.